After rebounding from the target area, the EUR/USD currency pair is being corrected. We can’t exclude a possibility that the price may continue falling down towards the level of 38.2% (red line). If the bears break this level, the pair will continue moving downwards. 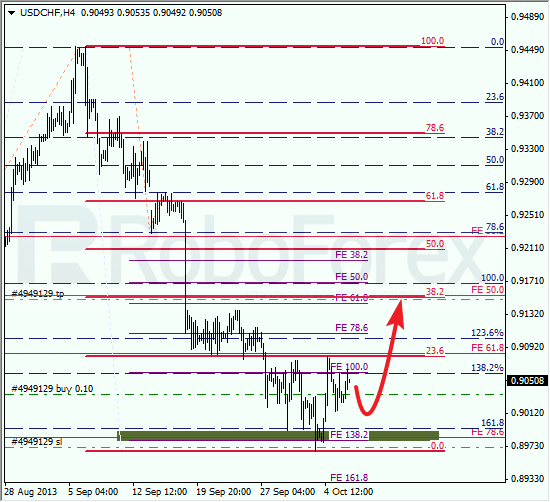 At the H1 chart we can see, the price made a reverse inside one of the temporary fibo-zones. A local correction may continue for a while in the nearest future. If later the price rebounds from the level of 50% or 61.8%, the bears will return to the market. Franc’s second attempt to rebound from the lower levels was successful. Right now, the price is being corrected, but later it may continue moving upwards. The target for the bulls is at the local correctional level of 38.2%. 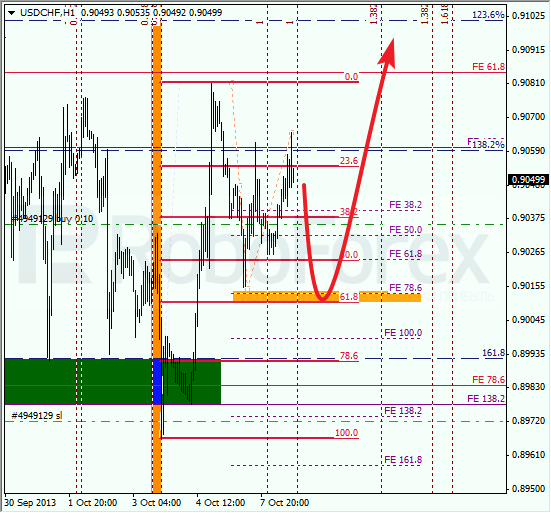 At the H1 chart, the price rebounded from the predicted levels inside the target area. We can’t exclude a possibility that the current correction may continue up to the level of 61.8%. If Franc rebounds from this level, the price may start a new ascending movement and break the latest maximum.